Does your vehicle’s factory throttle response lack gusto? A pedal commander can increase your vehicle’s fuel economy while enabling rapid acceleration. 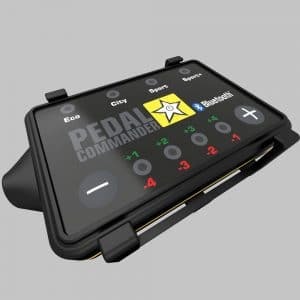 Are you wondering if the Pedal Commander is right for you? Well, we’ve thoroughly scrutinized it so that you don’t have to. Read along to learn all about the Pedal Commander, and see if it’s a good fit for your vehicle. 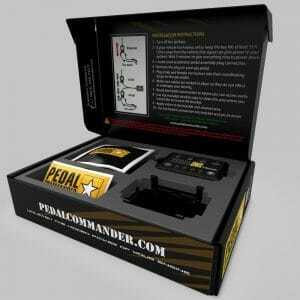 What is the Pedal Commander? The Pedal Commander is a throttle response controller that eliminates a vehicle’s response delay. Keep in mind that it is only compatible with vehicles that have electric gas pedals. Each Pedal Commander is individually programmed for specific makes, models, engines, and transmissions. What’s more, each Pedal Commander features four unique performance modes, including ECO, City, Sport, and Sport+. The devices also boast eight adjustable sensativity settings. The Pedal Commander does not void a vehicle’s factory warranty nor safety. It is also incredibly easy to install. The Pedal Commander is made from top-quality parts. For example, it features a 3M keypad for easy push-button control. It also boasts multiple high-performance CPUs (central processing units) for speedy real-time calculations. Finally, the Pedal Commander has OEM-quality connectors. More recent Pedal Commanders even have Bluetooth modality. This enables users to control the device’s setting from their phone. As such, they can keep the Pedal Commander’s control pad hidden from plain view. Pedal Commander asserts that their device provides a 95-percent faster engine throttle response when compared to stock settings. The company also promises a 20-percent increase in fuel efficiency in ECO mode. Who Manufactures the Pedal Commander? Pedal Commander is headquartered in Newbury Park, California. While there are several other companies that manufacture and sell throttle response controllers, Pedal Commander is one of the industry mainstays. The Pedal Commander is manufactured in Turkey. It retails for $299. Though, it can often be found for a reduced price. The Pedal Commander enables users to tune their vehicle’s throttle without voiding its factory warranty. In fact, the device successfully increases a vehicle’s pedal response time, making for dramatically more rapid acceleration. Best of all, it does all this without infringing on a vehicle’s electronic system. Most customers agree that the Pedal Commander is easy to install and adjust. The entire process takes under 10 minutes and can be completed from the driver’s seat of a vehicle. In fact, there is no need to even lift the hood. The device can also be detached easily when it comes time to have a vehicle serviced. Most users felt that the Pedal Commander offered a generous about of driving performance modes and sensitivity levels. In fact, there is a total of 32 settings to choose from. These include Sport+, Sport, City, and ECO. Of these options, the Sport+ setting is the most jerky and, therefore, takes the most getting used to. Meanwhile, the ECO boost setting actually slows a vehicle’s throttle response in order to optimize fuel efficiency. With so many settigns, users are at liberty to increase and decrease there pedal response to their liking. Many users went on to state that they enjoyed being able to boost their vehicle’s acceleration without having to forcefully mash the gas pedal down. They also felt that the spectrum of settings enabled better cruising on both roads and highways. One minor complaint was that the installation instructions were not very detailed, though we’re pretty sure most consumers can figure out the 10-step installation on their own. There are also several YouTube videos, like this one, which feature amateur customer installations. Not to mention, Pedal Commander boasts a live chat feature on their webpage where users can submit questions. Not to mention, they have series of vehicle-specific installation videos posted online. Since 95 percent of vehicles have a throttle plug located in the same location, these videos make it easy to identify key parts for installation. Many users stated that finding an ideal sensitivity setting took significantly longer than it did to install the device. What’s more, many users opted to use a variety of settings depending on their travels. For example, many preferred using City mode when they were traveling in congested or stop-and-go driving situations. Whereas, Sport mode is better-suited for the highway fast lane. Beyond this, customers seemed to be entertained by the Pedal Commander. In fact, many users stated that they used the Commander to do recreational driving, including peel outs and races. For many, the Commander completely overhauled their vehicle’s slow throttle response time, giving them the feeling of driving a new vehicle. Some customers were not up for the challenge of the Sport+ mode. This setting makes a vehicle’s gas pedal very sensitive. A small touch will send a car lurching forward without restraint. Some customers recommended that users slowly up the sensitivity settings to avoid gaining too much power too quickly. With that said, some customers were not happy with their vehicle’s increased gas consumption. While the ECO mode turns vehicles into cost-saving machines, the Sports+ mode will have you digging deeper into your pockets. A good way to balance this out is to regularly alternate between the settings. Finally, Pedal Commander comes with a 2-year warranty. With that said, customers must submit a copy of their original receipt in order to engage the warranty. What’s more, the warranty cannot be transferred or sold. Beyond that, the device boasts a 30-day money-back incentive. Pedal Commander promises that no questions are asked upon return. One of the most common questions asked by consumers is whether or not the Pedal Commander is compatible with smog and emissions laws. In fact, the device has no impact on a vehicle’s emission system. Furthermore, it does not alter a vehicle’s electronic system. Users can remove the device moments before an inspection or service. No matter how long you’ve had it plugged in, the vehicle will not indicate that the Pedal Commander was onc connected. If you’re wondering whether the Pedal Commander retains memory, the answer is yes. The device remembers the last setting used before a vehicle is turned off. As such, the setting is re-engaged when the vehicle is powered back up again. It’s also important to remember that a Pedal Commander is only compatible with cars that have electronically controlled gas pedals. For the most part, this includes cars and trucks from 2005 or later. Though, there are a few exceptions. You can visit the Pedal Commander webpage and type in your vehicle’s manufacturer, model, and engine type to determine which, if any, Pedal Commander will work with your vehicle. Is the Pedal Commander Right for Me? The Pedal Commander is a throttle response controller that is well-suited for individuals who are just getting acquainted with vehicle mods. It’s also ideal for vehicle owners who don’t want to tarnish their vehicle’s factory warranty but are sick of their vehicle’s slow acceleration. Are all models available with Bluetooth? Pedal Commander is currently in the process of converting all of their throttle controllers over to Bluetooth. However, only the PC31 and PC18 models are currently available with Bluetooth. 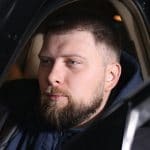 The company has made their plan public but has not announced an official release date. At this time, they are reminding customers that they can always utilize the 30-day money-back guarantee to trade in an older model and purchase a Bluetooth-compatible alternative. Keep in mind that all other components of the P4 model are the same as those with added Bluetooth. 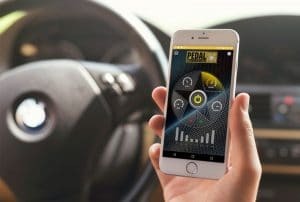 The only difference is users will be able to connect to and control their Pedal Commander with their phone. Can the Pedal Commander be used with both diesel and gasoline-powered vehicles? Yes! The only types of vehicle the Pedal Commander that cannot be used with are those with manual throttles. Is the Pedal Commander similar to a tuner or programmer? The Pedal Commander is only capable of boosting your throttle gains or fuel economy. Whereas, most tuners let you alter a wide range of factory settings, including power, fuel economy, and durability. While tuners allow you to customize more parameters than throttle boosters, they have the potential to set off engine warning lights. How Does it Compare to Alternative Throttle Controllers? The Pedal Commander features OEM plugs that must be inserted into the throttle sensor above your vehicle’s gas pedal. When compared to the OEM (original equipment manufacturer), the Pedal Commander gives your vehicle more life by removing internal delays. Their a few alternative throttle response controllers on the market, although the Pedal Commander is the long-standing best seller. Below you’ll find a chart containing some of the most popular Pedal Commander models on the market. Check out the models to see the vehicle that they are compatible with. Then, click on the link to check the price. Pedal Commanders aren’t difficult to operate, but they do pose a steep learning curve for many drivers. The ultra-responsive throttle feels dramatically different than a traditional driving experience. The Pedal Commander takes a car from zero to 60 miles per hour in a split second. With that said, it is ideal for rapid highway acceleration and over-the-top burnouts. Once you’ve plugged in your Pedal Commander, you should be ready to navigate the controls. Once your car is on, you can turn the Pedal Commander on by pushing the yellow star button in the center of the panel. Once the panel illuminates, you can press the yellow Pedal Commander button to switch between Sport+, Sport, and City mode. You can also hold yellow start down to select ECO mode. What’s more, you can press the plus or minus signs to adjust the power from negative four to four. That said, the Pedal Commander does not have an internal battery. Instead, it relies on your vehicle’s battery for power. You do not need to shut it off. Still, it may take anywhere from 1 to 5 minutes to turn off on its own. Mods can dramatically alter a vehicle’s performanc. However, the Pedal Commander’s non-invasive control system allows a vehicle’s stock control system to override any egregious requests. Neverthless, many drivers struggle to master the fast rate of acceleration that stems from the Pedal Commander. How Does the Pedal Commander Work? The Pedal Commander is a throttle control device that disables a vehicle’s throttle response delay. It does this by bypassing a vehicle’s fuel management system. In other words, it keys into a vehicle’s raw, unrestrained mechanical power and lets users tailor it to their liking. To understand how the Pedal Commander works, you need to grasp how your vehicle’s stock throttle system works. Traditional electronic throttle controllers consist of OEM cables, performance chips, sensors, and electric actuators. These elements measure the movement of the pedal. They also send commands to a vehicle’s ECU, telling it to open or close the throttle valve. That signal is then transmitted to a vehicle’s electronic actuator, which controls the motion of the valve. While all this happens rather quickly, it causes a slight delay that translates to a lag in the throttle’s actual response time. 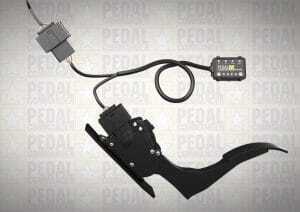 The Pedal Commander is an external throttle control that serves to eliminate that lag. It bypasses a vehicle’s modest throttle commands and replaces them with vivacious alternatives. Sport+ is Pedal Commander’s most aggressive setting. It shaves several seconds off a vehicle’s time when accelerating from 0 to 60 miles per hour. In fact, it can increase a vehicle’s throttle response time by a whopping 95 percent. You can also increase or reduce the intensity by selecting one of the Commander’s eight sensitivity settings. City mode enables users to moderately enhance their vehicle’s acceleration. This setting closely resembles a vehicle’s stock settings. Still, it gives users the ability to reduce or increase the amount of voltage sent to their vehicle’s throttle position sensor. If you find Pedal Commander’s Super mode to be a bit too jerky and ECO mode to be a bit too slow, this setting ofers a desirable middle ground. ECO mode reduces the amount of voltage sent to a vehicle’s throttle position sensor. In doing so, it actually enables a vehicle to accelerate slower than it would with a stock pedal delay. By doing so, it increases a vehicle’s MPGs (miles per gallon)by up to 20 percent. Keep in mind that you need to hold the yellow Pedal Commander button down for at least 3 seconds in order to select ECO mode. This is an integrated safety feature that prevents you from accidentally switching in and out of high gear. 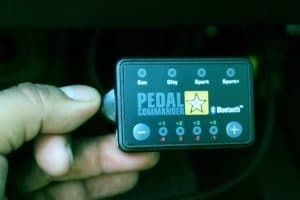 The Pedal Commander is extremely easy to install. In fact, the entire process takes under 10 minutes to complete. Before you get started, double-check your Pedal Commander to ensure that it is compatible with the make, model, and year of your vehicle. Keep in mind that you don’t need any tools to complete the installation process. Step 1: Once you’re ready to install your Pedal Commander, shut down your vehiclea and remove the keys from the ignition. At this time, allow the engine to cool for at least 5 minutes. If you have a keyless starter, ensure that your key fob is a good distance away from your vehicle. Step 2: Locate the gas pedal assembly plug. Then, disconnect it. This step is optional, though it reduces the risk of electrical shock. Step 3: After this, remove the dash panel below the steering column. Do this slowly, starting at one corner and working your way to another. Step 4: Locate the factory-issued dash plug. Then, disconnect it from the accelerator pedal. There may be a red cover over the plug. If so, slide it to the side before disconnecting the plug. Step 5: Plug the Pedal Commander’s OEM connector into the port. Attach the lock tab to lock it into place. Step 6: Then, connect the factory-issued dash plug into the Pedal Commander’s port. Step 7: Tuck the wire in so that it will not interfere with you when you’re driving. Step 8: Find a place on your dash where you will be able to easily access the Pedal Commander. Step 9: Use an alcohol pad to clean the area where you wish to mount it. Peel the adhesive protector off the back of the device. Then, use the adhesive to attach the Pedal Commander to the dash. Step 10: Put the dash panel back. Then, reconnect the gas pedal plug. Now, you can start your vehicle. At this point, the Pedal Commander should light up. Post Installation: Now, you can select a mode and sensativity by pushing the buttons on the surface of the panel. 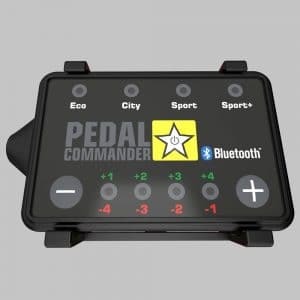 You can also download the Pedal Commander app on your Smartphone and connect to it via Bluetooth. Pro Tip: 1. If you have a newly released PC31 or PC18 Pedal Commander Bluetooth unit, download the app in advance. It is available on Apple and Android devices. Keep in mind that you will need to enter the six-digit serial number on the back of your device. 2. Make sure that your phone is within 15 feet of your Pedal Commander before trying to connect. What’s more, double check that your phone’s Bluetooth setting is on. 3. Don’t leave any loose cable hanging out. This can get caught on your foot and become a major safety issue. Take the time to tuck it in completely before re-attaching the steering wheel panel. Tuners are off-limits to vehicles that are under warranty. However, that doesn’t mean you have to wait years before you can upgrade your vehicle’s pedal response system. 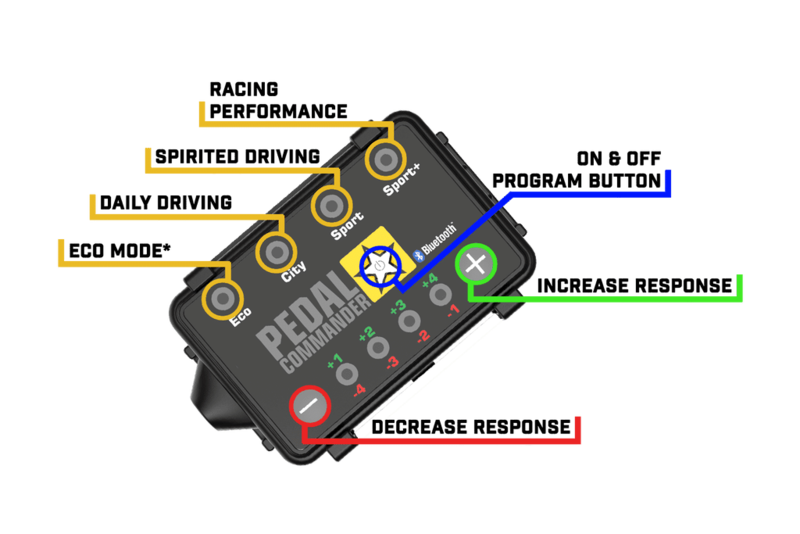 The Pedal Commander offers a detection-free plug-and-play throttle response control with 32 different performance settings. It’s super easy to install and fun to use. Not to mention, a 30-day money-back guarentee enables you to try it risk-free.